Here at Tags quality is our number one priority. That's why we insist on using only the finest natural ingredients in every bag. From carefully selected potatoes, the purest sunflower oil and right combination of seasoning, we believe that only the best is good enough. 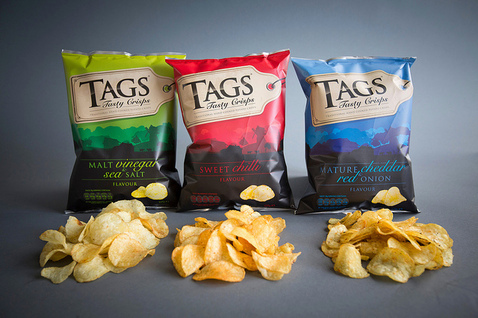 And you can rest assured that we will never add anything artificial, we'll simply prepare your crisps with love and care. Because we do. 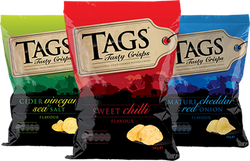 It means that, every time you open a bag of Tags, you know you’re getting great quality and a great taste from the people who make great crisps.